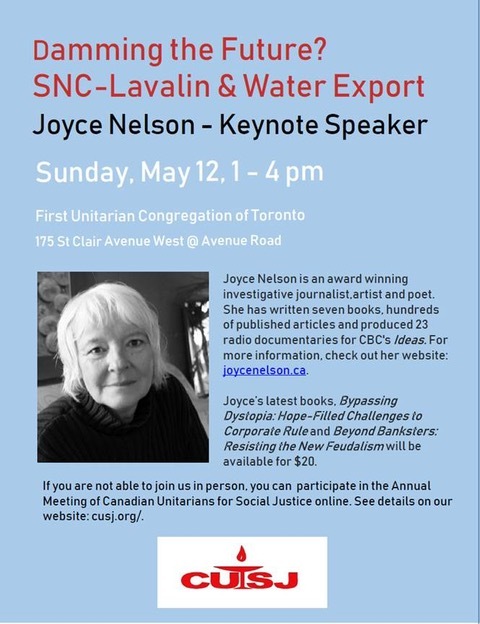 The CUSJ AGM is on Sunday, May 12th at the First Unitarian Congregation of Toronto, in Toronto, Ontario. Hope to see you there! p.s. We invite you to print the poster and share it with your congregations! Note: Indicated times are Eastern Standard Time (EST); PST is three hours earlier.